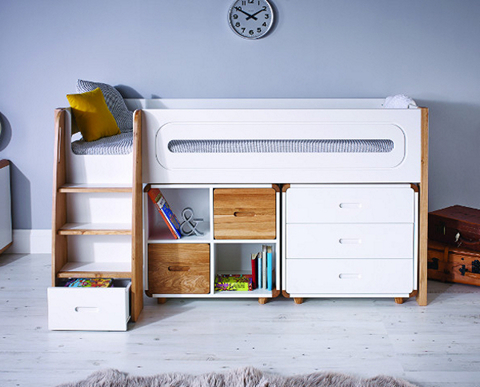 These are beds at mid height. 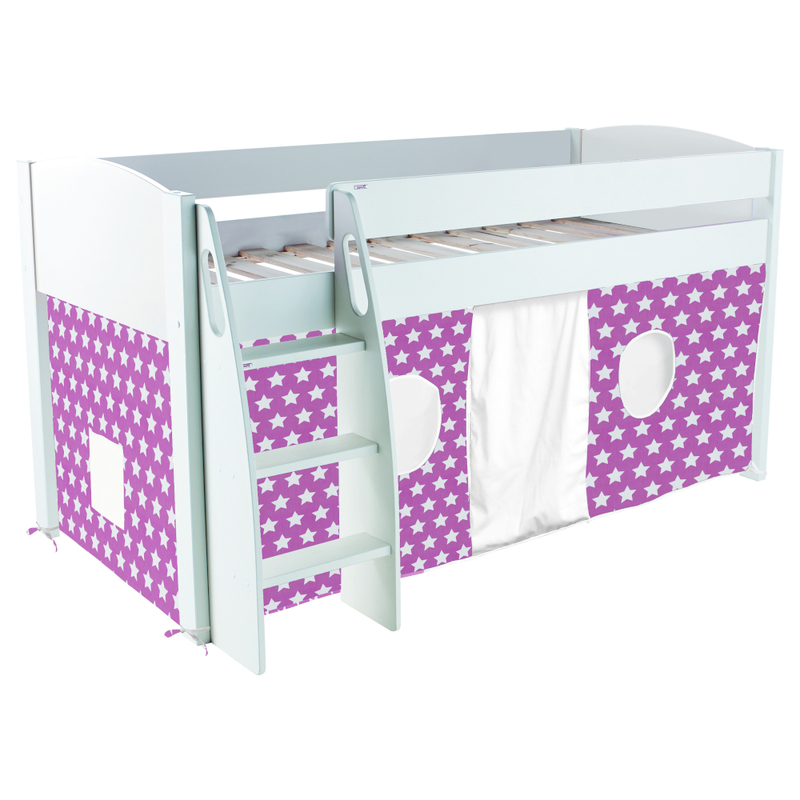 Childrens mid sleeper beds are raised off the ground to make space for either purpose built furniture or fun and colourful tents to fit underneath. 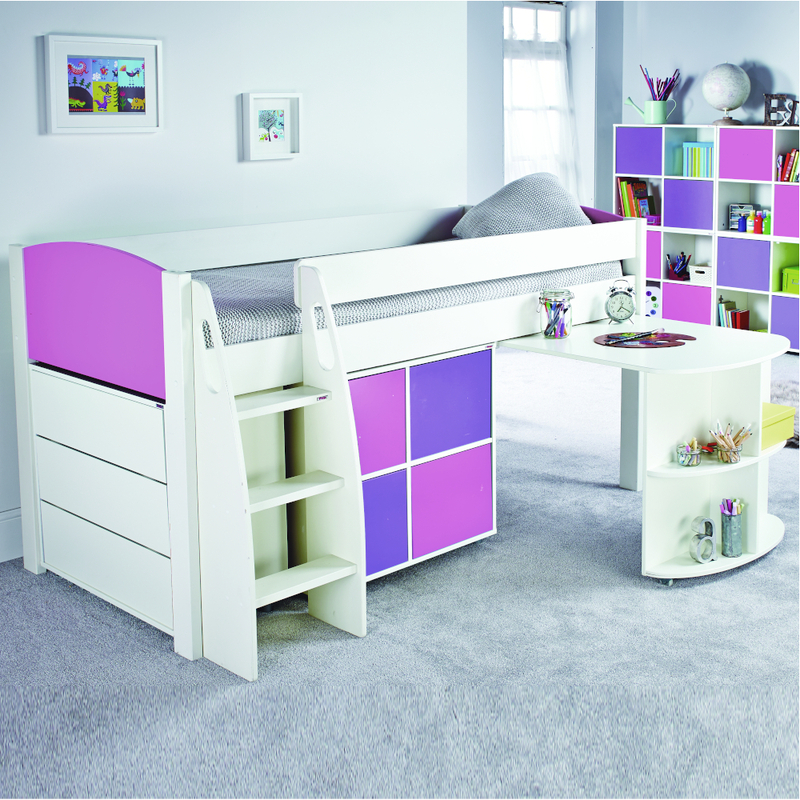 Alternatively just leave space beneath the bed for you to use however you would like. 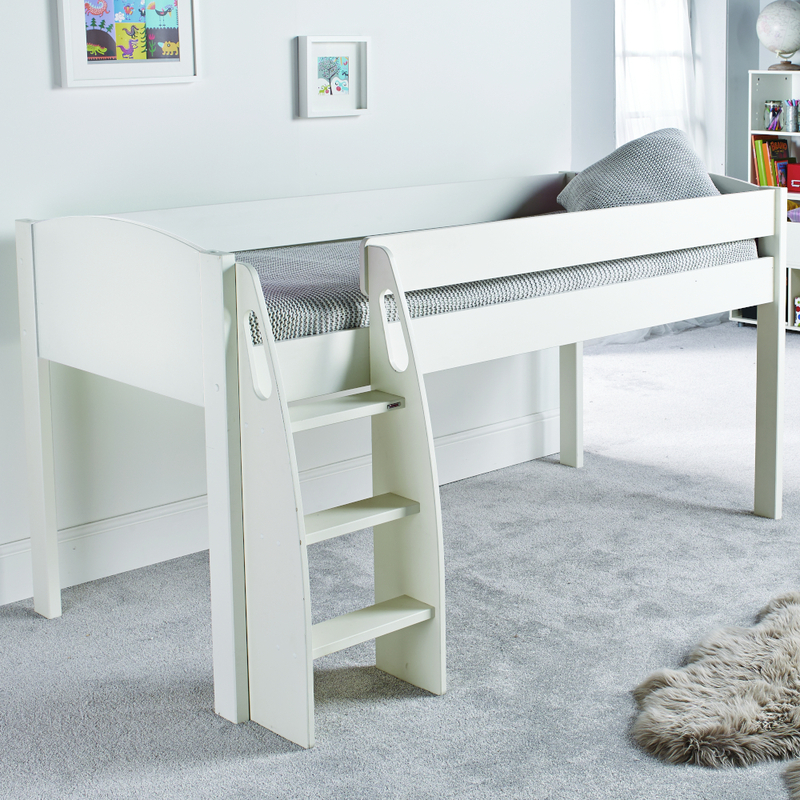 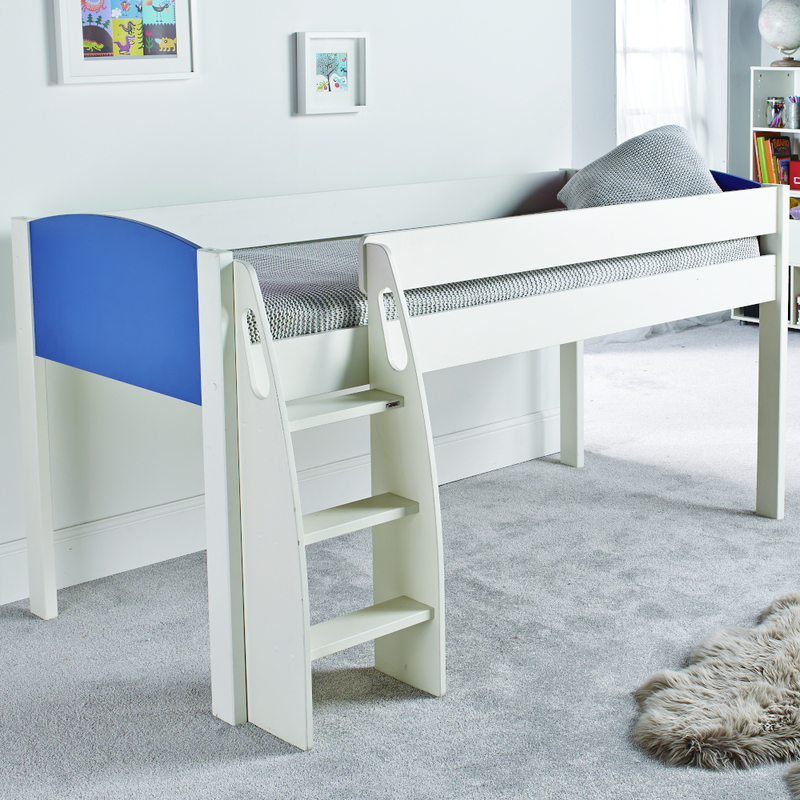 Mid sleepers are designed with children in mind to stay robust and strong, obviously with safety at the top of the list. 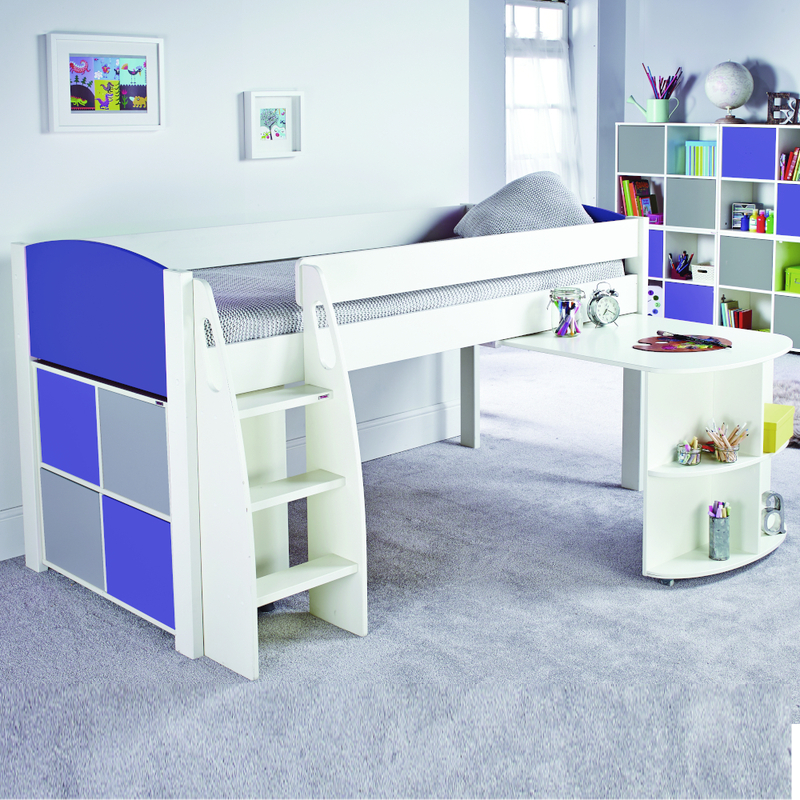 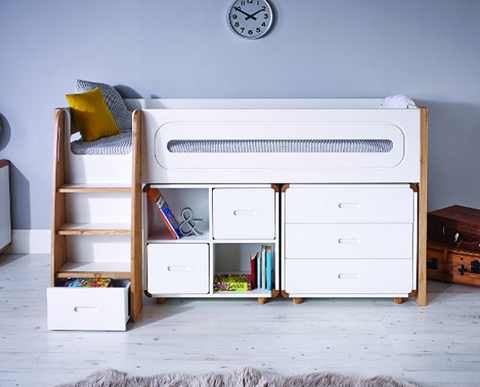 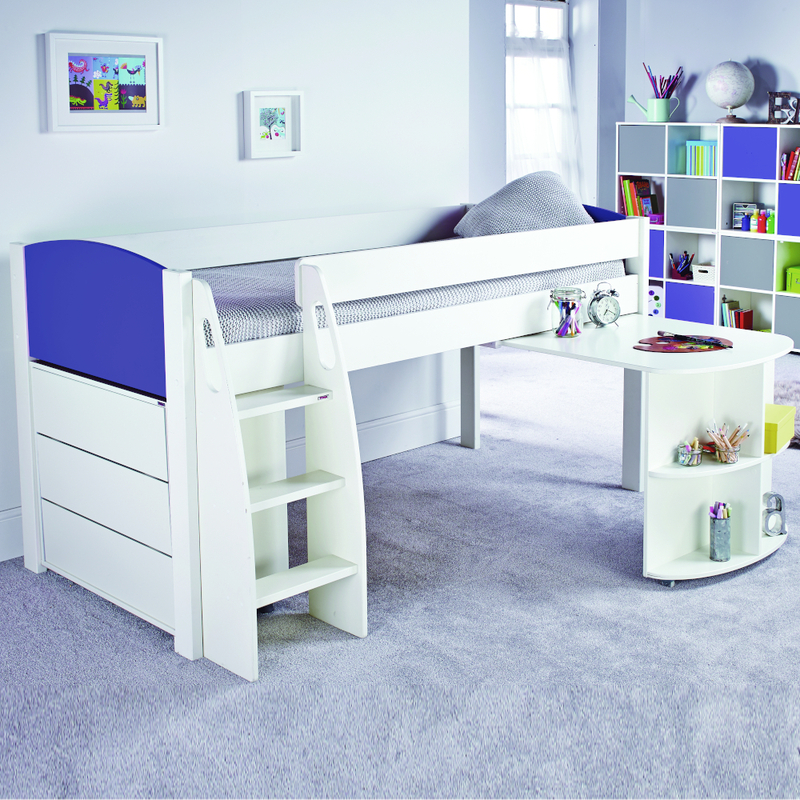 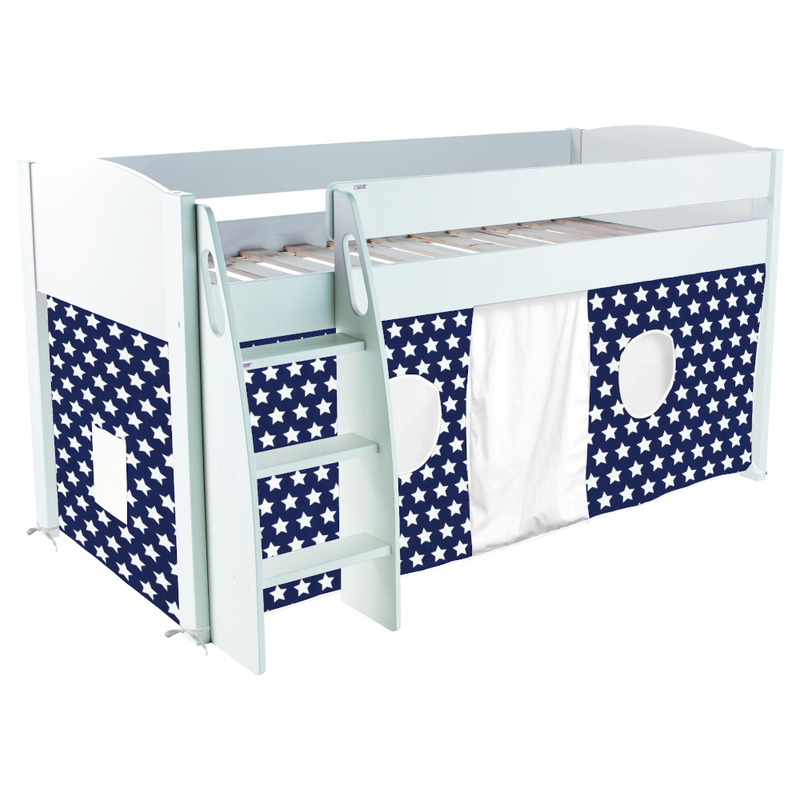 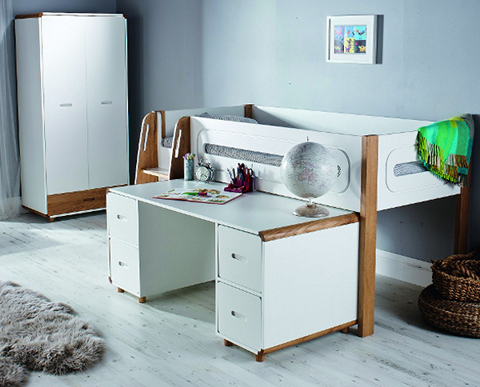 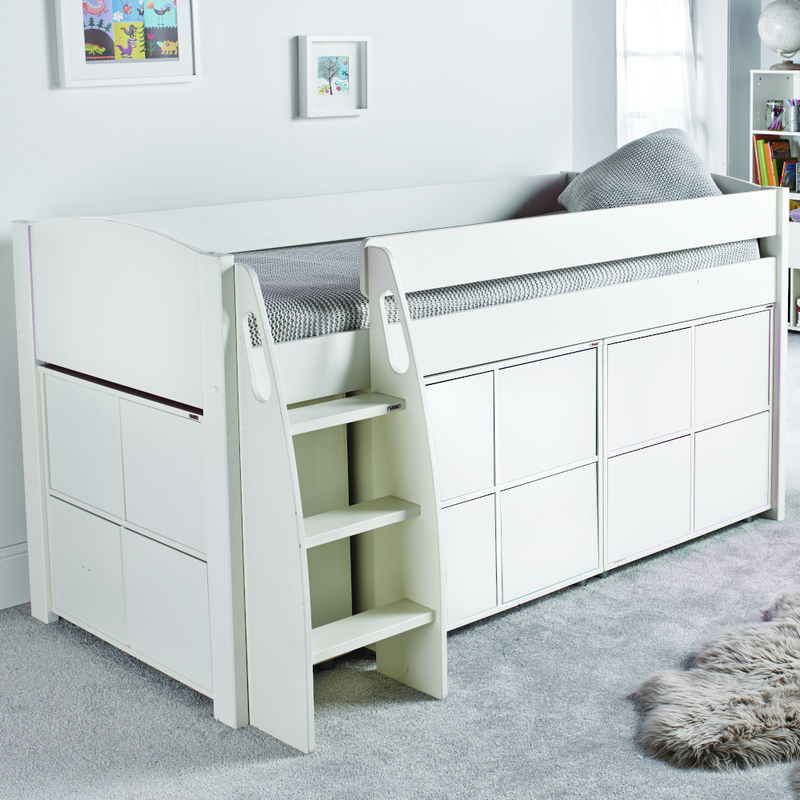 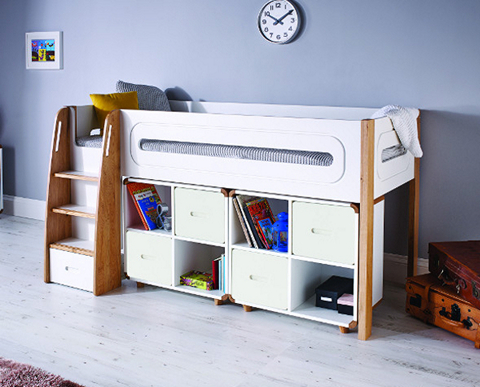 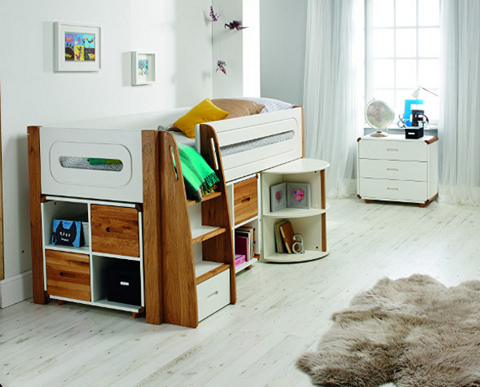 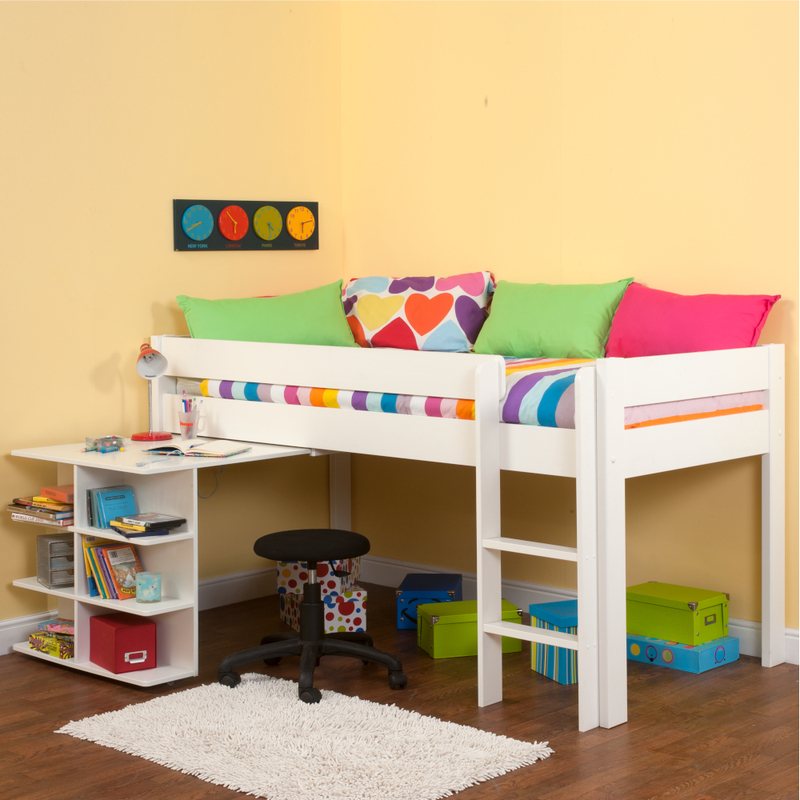 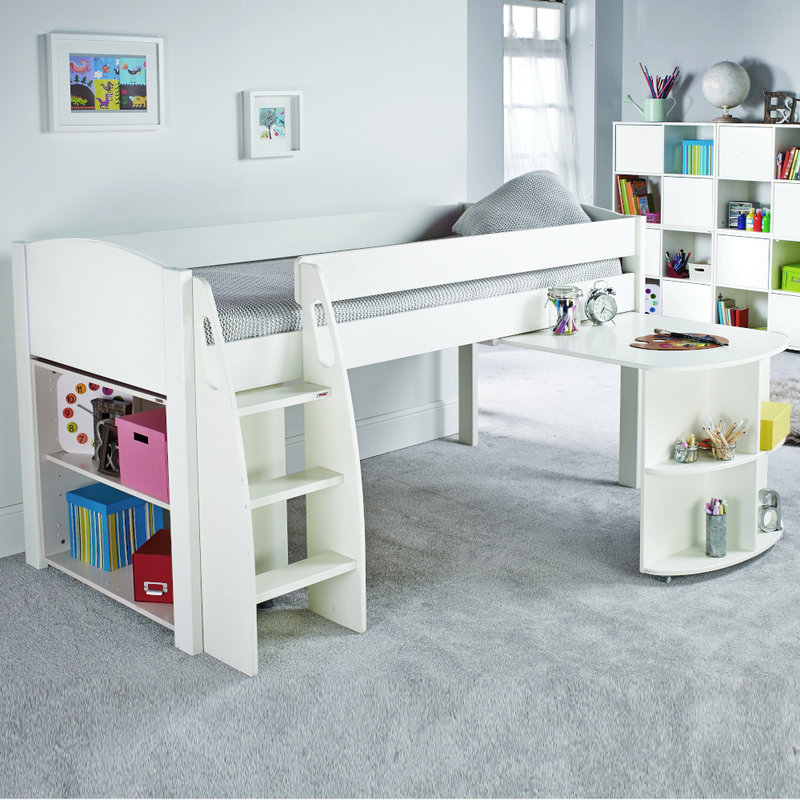 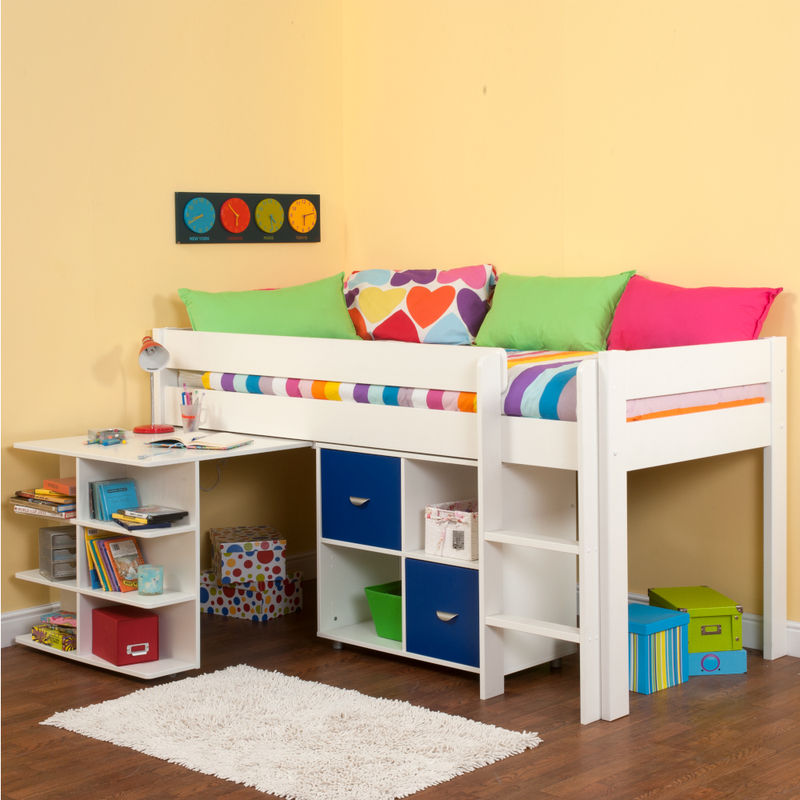 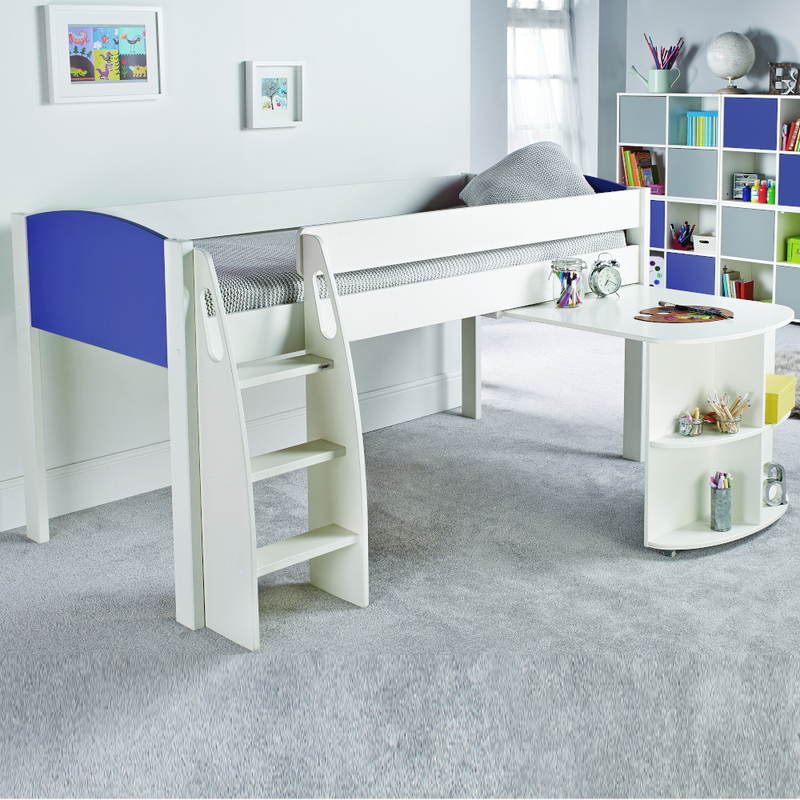 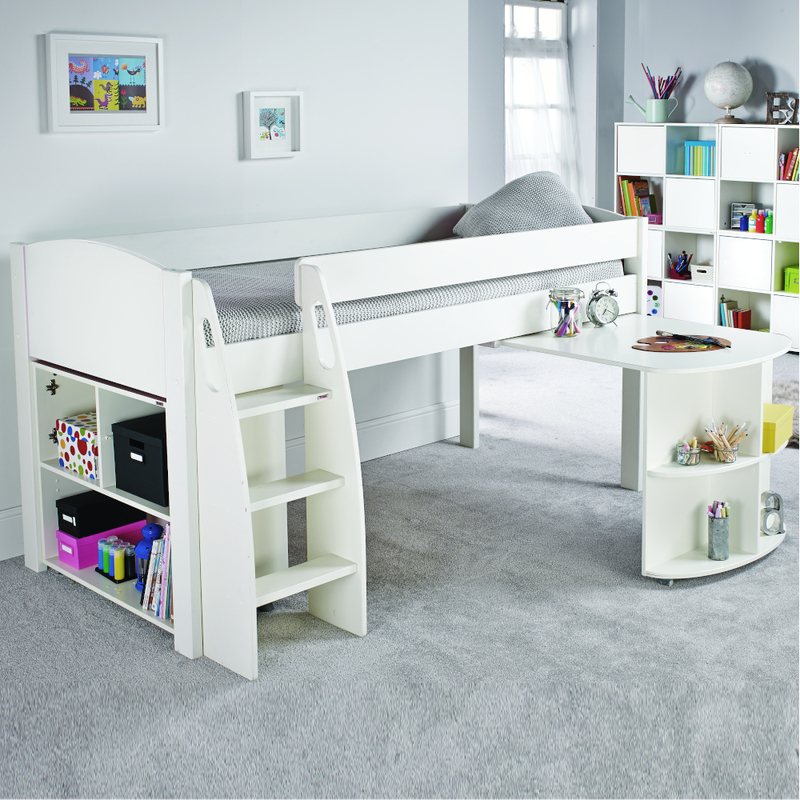 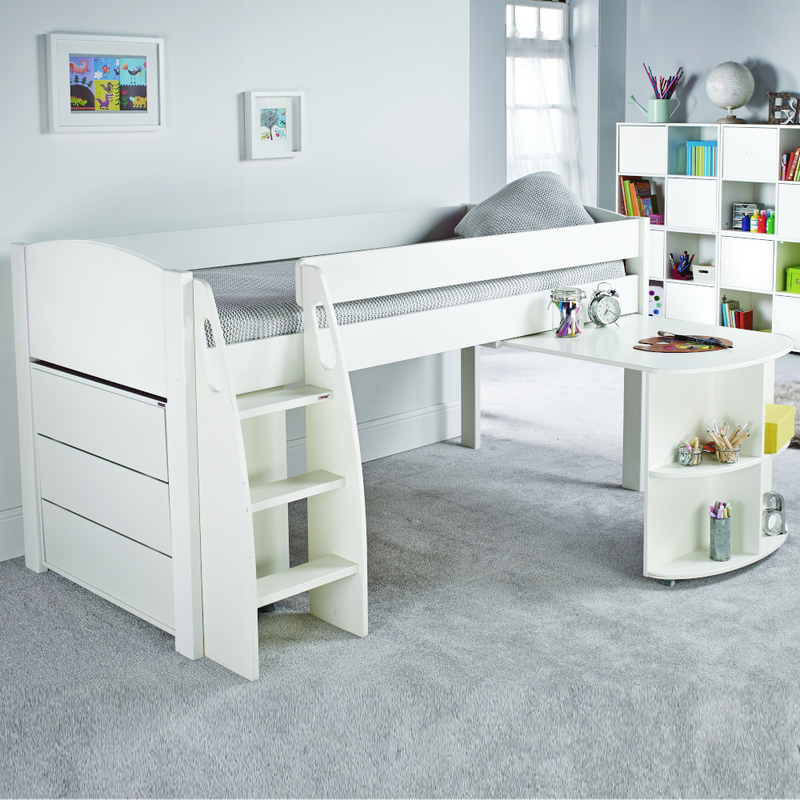 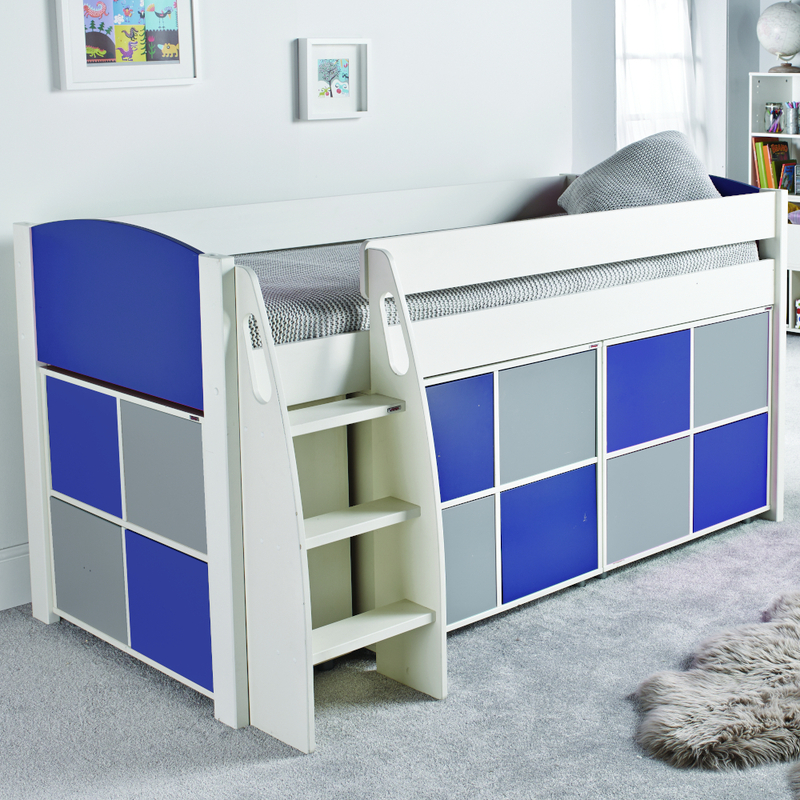 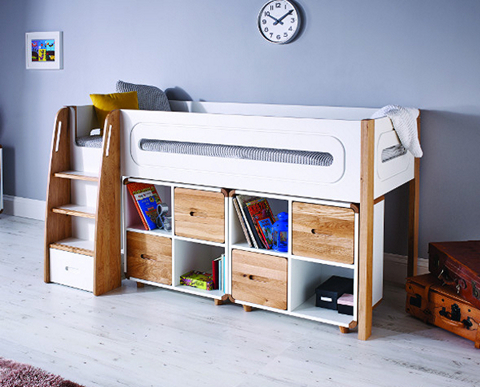 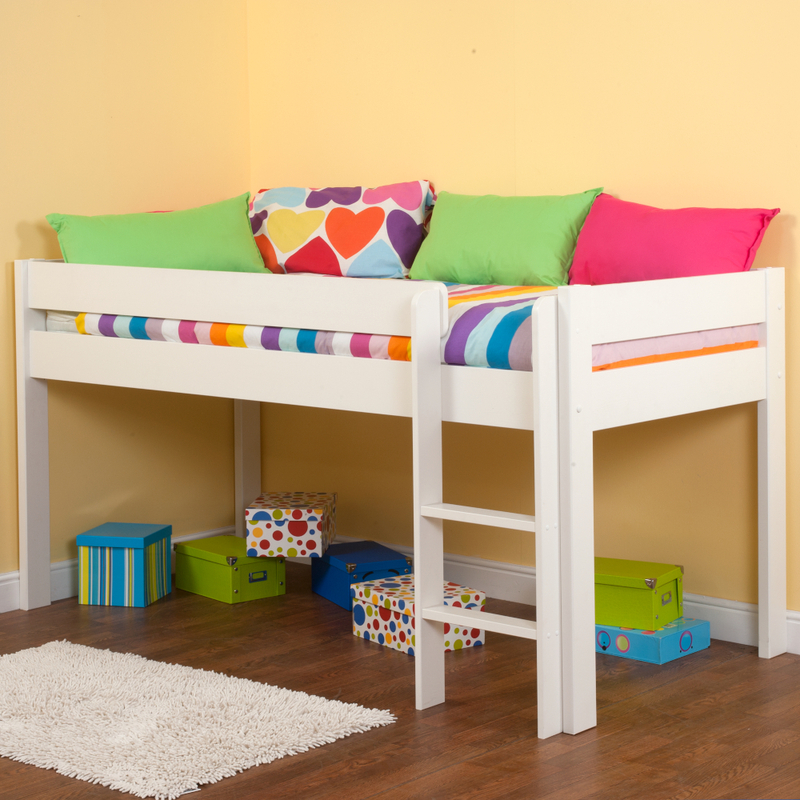 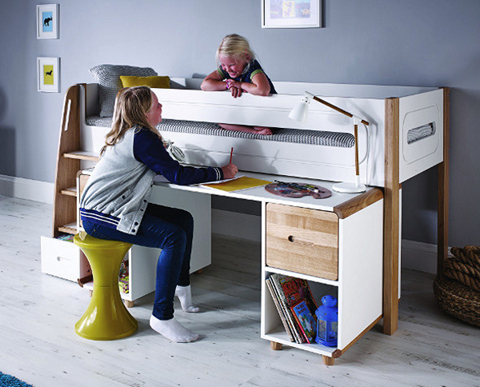 Kids mid sleeper beds are the choice to look for if you are searching for a bed to cover all of your needs in terms of ticking the box for being; space saving, practical, very nice looking, fun and colourful and still with space left to store a few blankets or sleeping bags in a secret den behind it all. 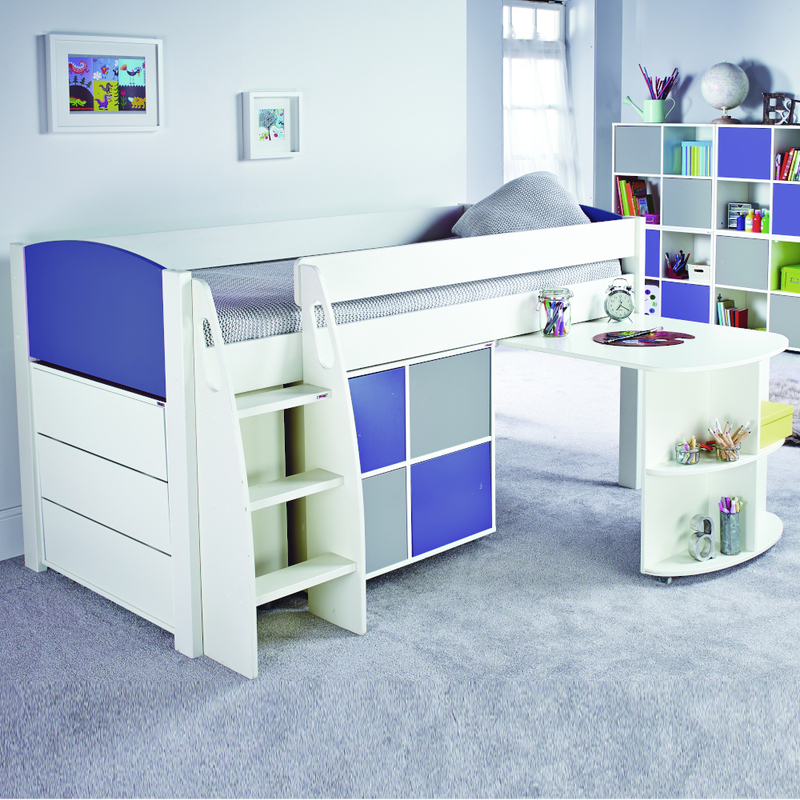 Suitable from the age of 6 to around 10 depending on the size and development of your child. 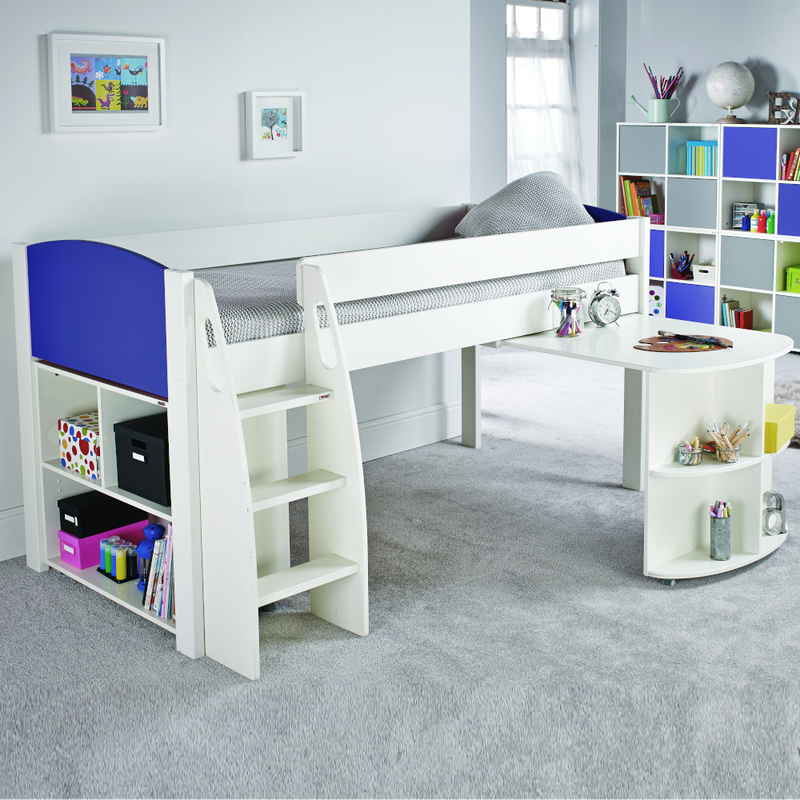 Our midsleeper beds are continental sized and take mattress size W900xL2000 mm, - more room to grow!